This standard addresses environmental friendliness with performance in the context of differing geographical environmental regulatory trends. 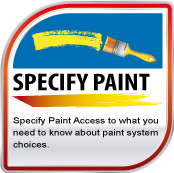 paint standard in the world. 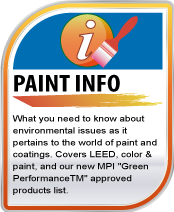 Historically the world of paint and coatings was not an environmentally friendly one! Some paints contained mercury, some arsenic and most of us know about paints that contained lead. Paints (today) contain both organic and inorganic compounds or materials, some of which may adversely impact our environment by releasing solvents or other toxic materials at various stages of the product life-cycle. Some reports indicate that almost 4% of the ozone depleting substances in the U.S. are a result of VOC emissions from paint & coating products is a scary thought. How can this be reversed or modified? Making the world a safer place in which to live in should be on the minds of every human being. We all need to take responsibility for using our resources properly and maintaining the environment for future generations. 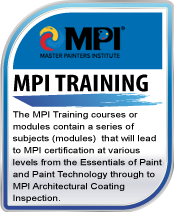 MPI (Master Painters Institute) has as its vision; a paint & coatings industry that develops and uses paints and coatings with balanced performance, safely and appropriately EVERY TIME. .